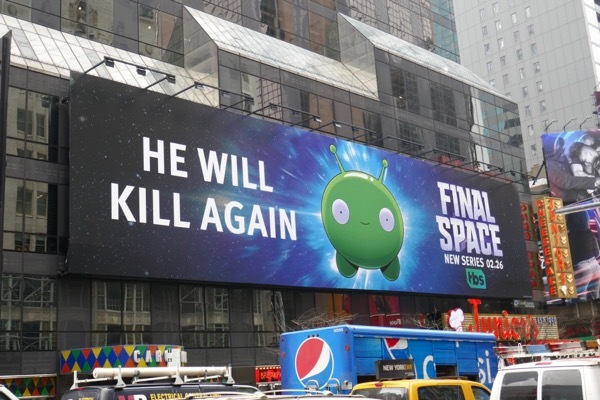 In space no one can hear you scream, especially when you're being attacked by an adorable green blob of a creature like this. Wait, what? 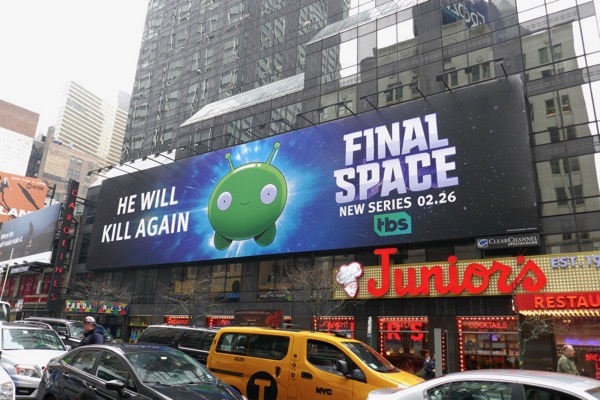 Meet 'Mooncake', the planet-destroying sidekick of 'Gary Space' (both voiced and created by Olan Rogers), who travel the universe on their intergalactic escapades in the new TBS interstellar comedy, Final Space. 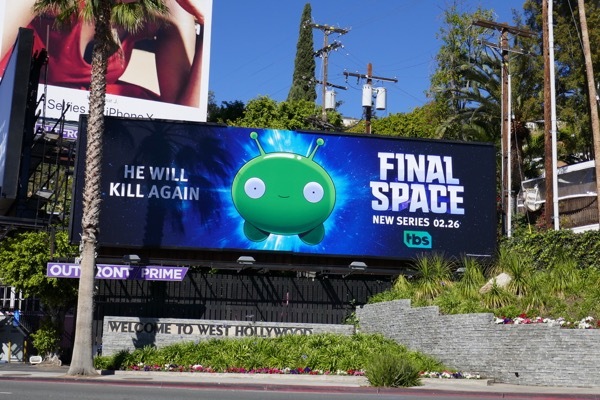 The cuteness of the alien character coupled with the absurdity of the 'He will kill again' tagline really help these billboards to stand out in the streets of L.A. and New York City. 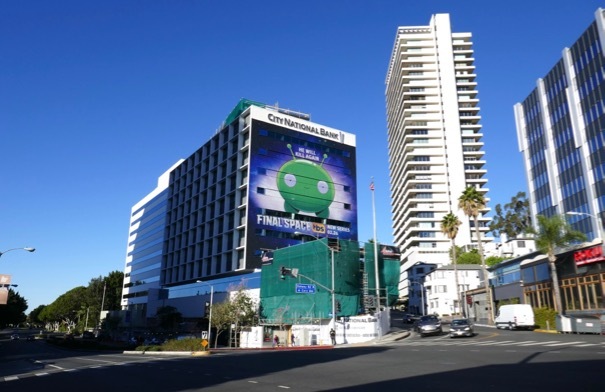 The giant-sized series launch billboard was first snapped along West Hollywood's Sunset Strip on February 12, whilst the longer landscape version was spotted along Manhattan's Broadway on February 15, 2018. 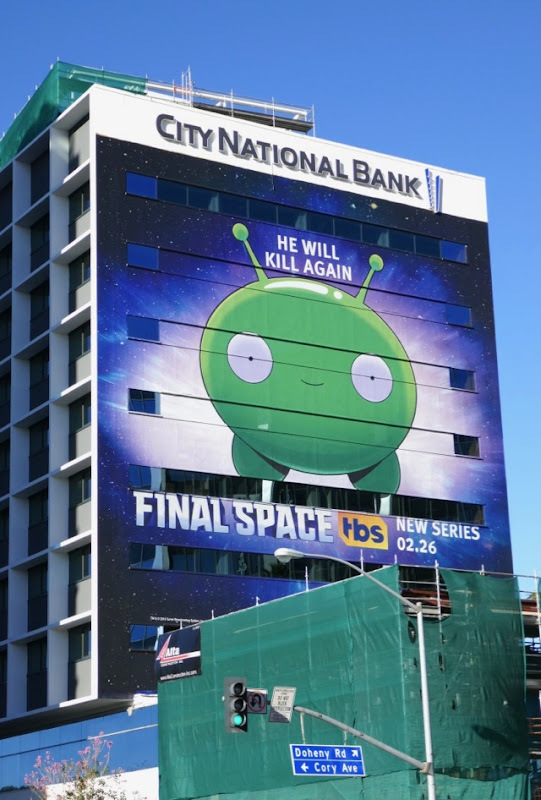 Let's face it, if an orange buffoon can destroy Earth with the touch of a nuclear button, then a cute green alien with antennae can be a planet killer. Get ready for blast off. 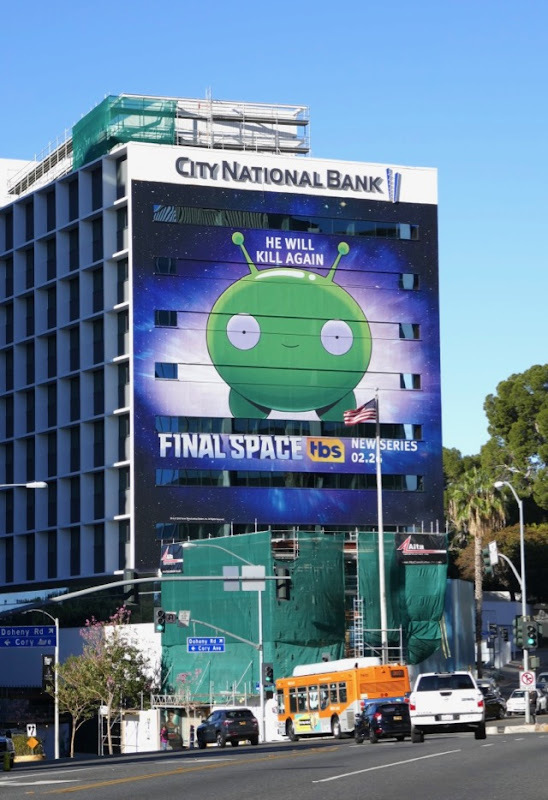 UPDATED: Here's also a landscape season one billboard snapped along the Sunset Strip on March 4, 2018.